Students and RTOs across Australia left High and Dry while ASQA sits on their hands and does nothing to rectify the mess they have created! Who Will Train The Trainers of the Future and NOW? Is the VET industry sinking while TAE40116 students are left high and dry, without enough RTOs to help? Five months after my first article on ASQAs extremely poor management of TAE40116 addition to scope applications for RTOs across Australia (see: TAE40116 Transition – ASQA’s disaster waiting to happen? ), I feel like it is timely to revisit this topic and review the mess we are now in, as a result of ASQAs inaction. Why did our regulators do nothing? ONLY 49 RTOs in Australia have scope to deliver this Qualification. We have lost around 500 RTOs to deliver this qualification in just 18 months. It doesn’t take much of an imagination to wonder how 49 RTOs, (many of them small providers, with limited capacity and geographical coverage) will be able to service the predicted 20-30,000+ students that require this new qualification in the next twelve months. The few RTOs who have this qualification on scope, will soon struggle to handle student numbers. Many future trainers and assessors are now left without a training provider that can deliver TAE40116 in their local city or town. The graph to the left provides an indication of the number of Trainers who either upgraded or completed the full TAE40110 course after the new qualification was released. 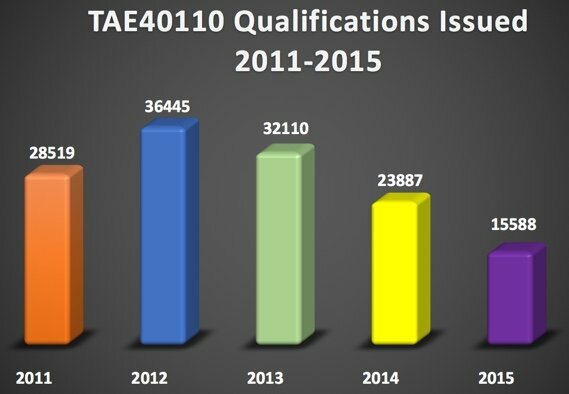 The NCVER graph shows a whopping 136,549 TAE40110 qualifications issued between 2011 and 2015. 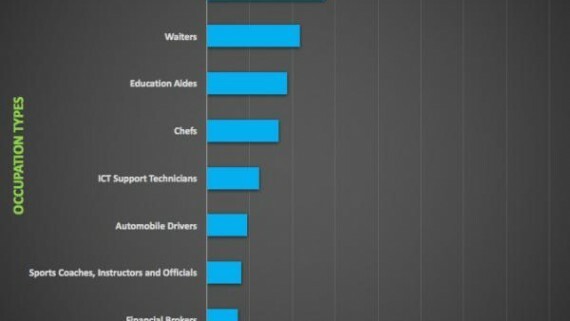 This graph only shows qualifications issued. Enrolment numbers will be even greater! I think you will agree, 49 RTOs cannot meet this demand. 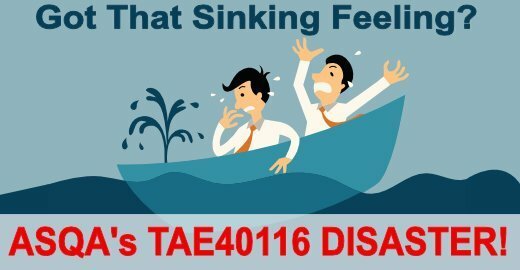 Unfortunately, we have lost around 500 RTOs who were delivering the TAE40110 qualification. Many of them are quality operators who, when we’ve spoken to them directly, say they can’t afford or justify the cost of complying with the enormous and expensive TAE40116 application process. If ASQA continues to drag the chain and perform at the same level over the next 12 months, we can only expect a similar number of RTOs to gain scope in the year to come. There is simply nowhere near enough RTOs to deliver the number of expected qualifications and upgrade training, required to keep the industry compliant, with competent qualified trainers by 1st of April 2019 (the TAE40110 to TAE40116 upgrade deadline). Why did ASQA only allow an 18 Month Transition Timeframe? ASQA requires all of the above to be done prior to lodgement of an addition to scope application. For most RTOs it will take a minimum of 6 months to complete all of these requirements to the standard and rigour necessary to design and deliver a quality and compliant TAE40116 course. This leaves just 12 months of teach-out left once the application has been submitted to ASQA. This might be adequate IF applications were processed quickly and scope was granted in a timely manner. ASQA has taken 10 months (in at least three cases I know of) to process applications and grant approval to deliver TAE40116, despite a relatively tiny number of RTOs applying for addition to scope. This means many RTOs have been left with an actual window of 2 months or less to commence delivering the new course and transition all students from the old qualification to the new TAE40116! In most cases, RTOs are left still waiting for approval on the transition deadline!! How did they ever think 18 months would be adequate time for an industry to transition smoothly to this new qualification given the obvious severe under-resourcing of this project? RTOs lucky enough to have their application approved prior to transition deadline, are left scrambling to implement a course and transition any remaining students, while many RTOs are left waiting in despair, unable to transition those learners who needed more time. Did anyone consider the learners in all of this? Learners left uncompleted in a superseded course with their RTO unable to transition them due to ASQAs mismanagement? The fact that there were only 4 RTOs Approved by ASQA to deliver this qualification when I wrote my original article in May, shows you just how badly ASQA have planned and managed this process. To put that in perspective, that’s just 4 RTOs approved by ASQA in around 13 months – that’s longer than a standard qualification transition window. It was obvious back in May 2017 that they had not got the planning and implementation right. Why did ASQA do nothing? These delays impose a massive amount of financial and emotional duress on RTOs, their staff, and students. Many RTOs have been unable to offer their TAE staff any job security and have suffered massive revenue losses, jeopardising otherwise healthy training businesses and putting all staff jobs at risk. Their students left without any clear guidance on whether they will be able to transition to the new qualification in time, or at all. With 500 RTOs now unable to deliver TAE40110 OR TAE40116, there must be an incredible number of TAE Trainers and Assessors who have lost their jobs as a direct result of this poorly implemented transition. I don’t think ASQA really have a clue on how their decisions or performance impacts people in the real world, or even care to be honest. If they did, they would have acted a long time ago. ASQA must also be a victim of their own poor handling of this transition, with complaints from RTOs and students. I have personally lodged two complaints on the handling of this process, and the unacceptable delays imposed on RTOs. This all costs the taxpayer and adds an unnecessary burden on regulatory staff who should be dealing with real issues (not caused by the regulator). 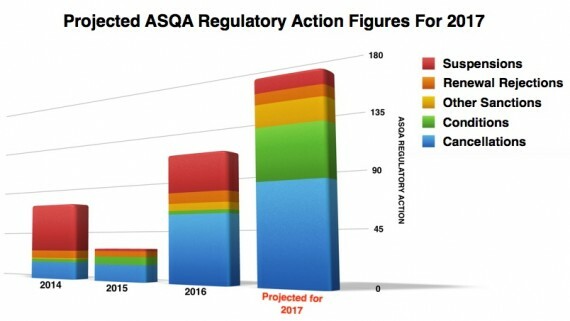 How could ASQA have managed this transition so poorly, given that this is one of the biggest regulatory changes to happen since ASQA and the new standards for RTOs were introduced? 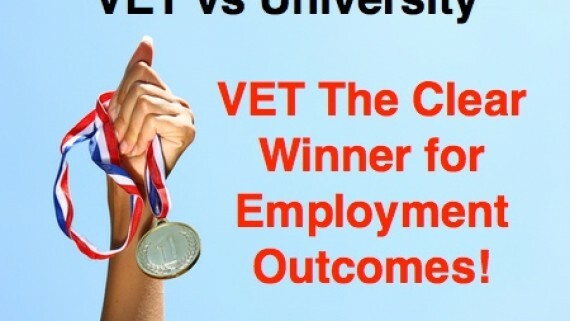 Particularly given the importance of this qualification and the dependency the entire VET system has on trainers and trainer capacity. How could ASQA not foresee, plan and adequately resource the TAE addition to scope team to effectively and efficiently process the applications to the new rigour required? Why would ASQA not extend the teach-out period for TAE40110 to allow for their slow application processing timeframes, when they have known how far behind they are for many months and have received complaints and requests for an extension? I (and many others) could see the writing on the wall back in May. ASQA seem to have done nothing to address the issue, despite receiving complaints about the lack of action on this important issue. Their failure to plan and resource this new rigorous process is one thing, however, their absolute failure to review and address their performance issues in the midst of complaints and industry condemnation is another. Who Will Train The Trainers of The Future? We all support improved quality in TAE and a higher benchmark for trainers and assessors in Australia. However, no one supports knee-jerk policy implementation on the run, that lacks forethought, planning, and resourcing. Who will train the TAE40116 trainers in 2017 and 2018? We certainly have nowhere near enough RTOs now to deliver to the tens of thousands of students that will need training in the next 12 months – many of them, themselves trainers that will be required to upgrade to keep their current job. Many cities are left without any options. Learners will need to travel to larger centres and pay for accommodation if they want to upgrade their skills or become a trainer. What is the sense in that? This is simply a case of poor management, it didn’t have to be like this. I think it is high time ASQA was accountable for the poor decisions and the detrimental industry and economic impact of their poor planning and implementation of major VET framework changes. If you feel the same, I really recommend putting your complaints to ASQA [email protected] At least they will have to be accountable and your voice is on record. Hopefully, they get the message and start to regulate in a considered, strategic manner in future. Enough is enough! Why Are RTOs Complaining About Proposed “Amount of Training” Requirements? 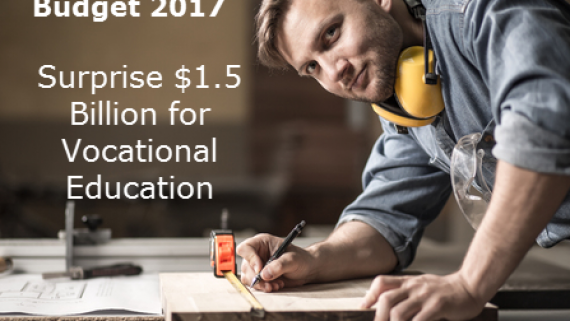 Great News for a Strong Vocational Education Sector! 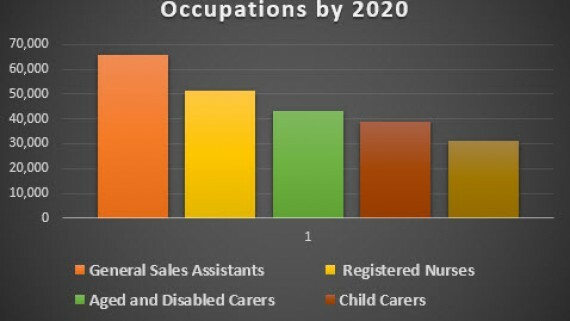 What are the Growth Occupations for VET to 2020? 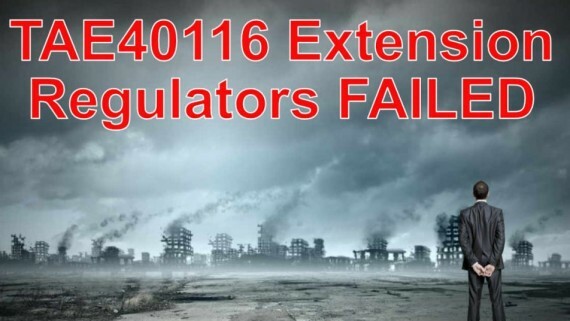 TAE40116 Extension – A Regulatory Disaster! What are the High Growth Course Areas for VET in 2019 and Beyond?